1. Veterans Memorial Trail (White Trail) - This trail can be accessed at the Park exit road on Mill Street and leads to the Park parking lot at the top of the slope. 2. 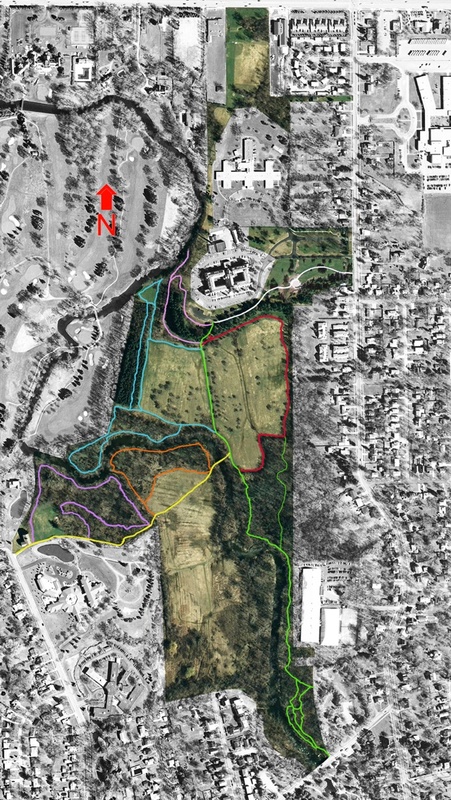 North-South Ellicott Creek Trails (Green Trail) - This trail can be accessed from the Park parking lot at the top of the slope or from the parking lot at Glen Park to the east of Ellicott Creek. 7. Reist Mill Trail (Yellow Trail) - This trail can be accessed from the Park parking lot at the top of the slope.